Create a "pet area". If you carve out some space in your apartment that's just for your pet, such as adding a comfortable dog bed in a corner of the living room or placing a scratching post for your cat, it can help to keep your pet off the furniture and away from your pricier posessions. Invest in smart storage. Buy some plastic bins or baskets for things like dog toys, treats, leashes and grooming products to keep them off the floor and out of sight. Take frequent walks or get indoor exercise. If you have a dog, you know what a difference regular exercise can make in your home. Take time every day to get outdoors with your pooch to avoid having your dog run wild in your apartment. If you have a cat, make sure to play with toys or allow your cat to see out a window to avoid boredom. Feed your pet indoor or weight control foods. Indoor cats and lower-energy dogs require a different type of food to help manage their weight. Invest in high quality foods to keep your pet healthy and avoid weight gain. Hire some help! 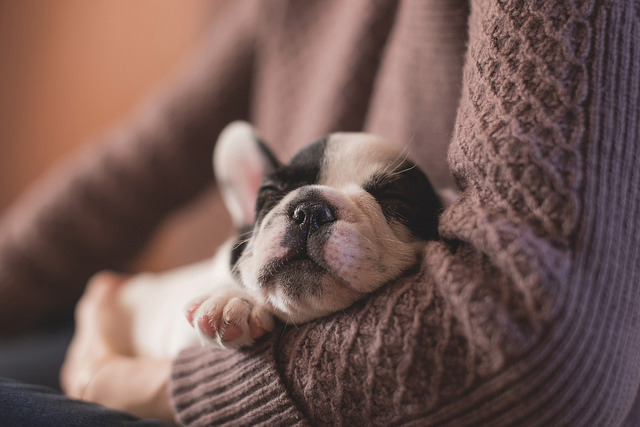 If you feel overwhelmed by taking care of your pet during a particularly busy work week, do both of you a favor and hire a pet sitter or a dog walker, or even take your dog to a doggy day care. There's no shame in reaching out for help, especially if it means keeping your pet happy and healthy.